Amazon was much quicker than I thought they would be. 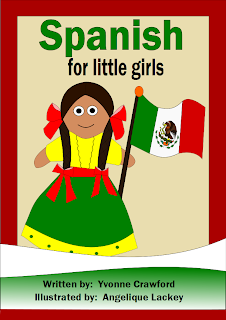 Spanish for Little Girls is now available. Please leave a comment if you have any questions. 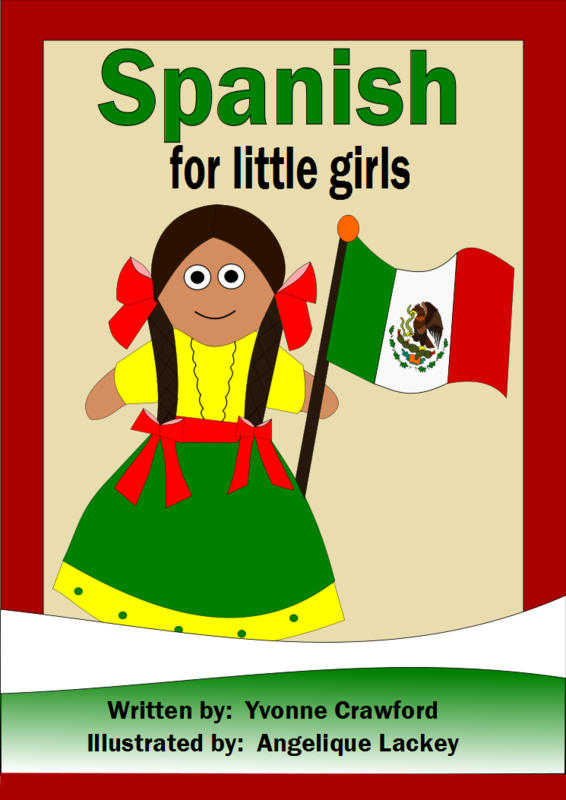 Spanish for Little Girls is finally complete. It will be available on Amazon in about 3 weeks, but for now, you can order an e-copy of here. Just click the link below and you can purchase book as a PDF file and it will be emailed to you. Most people learn a foreign language best when they are properly motivated. This workbook is designed to target the obsessions of little girls: princesses, tea parties, horses, and more. You and your daughter will open the door to the Spanish language while coloring flowers, playing memory games with different types of toys and hosting your own tea party in Spanish. 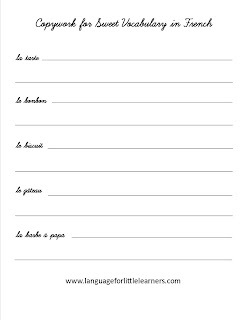 This workbook is created especially for parents who do not have any prior knowledge of Spanish. 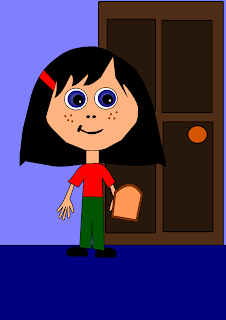 You and your daughter can embark on a journey of learning a foreign language together. Everything you need is inside this workbook, including a pronunciation guide, dictionary and teaching hints. Camping in French is the 11th volume in a booklet series to help chidren learn French. 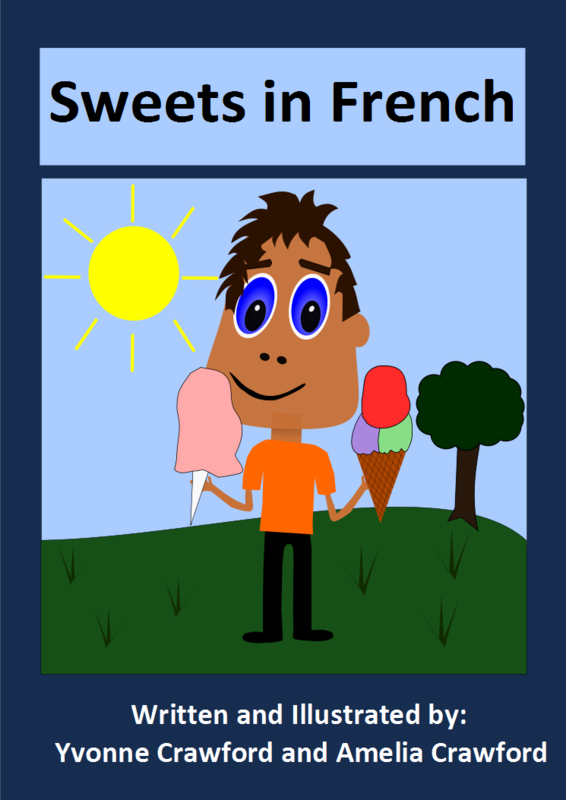 This volume will focus on the names of sweet food words in French. 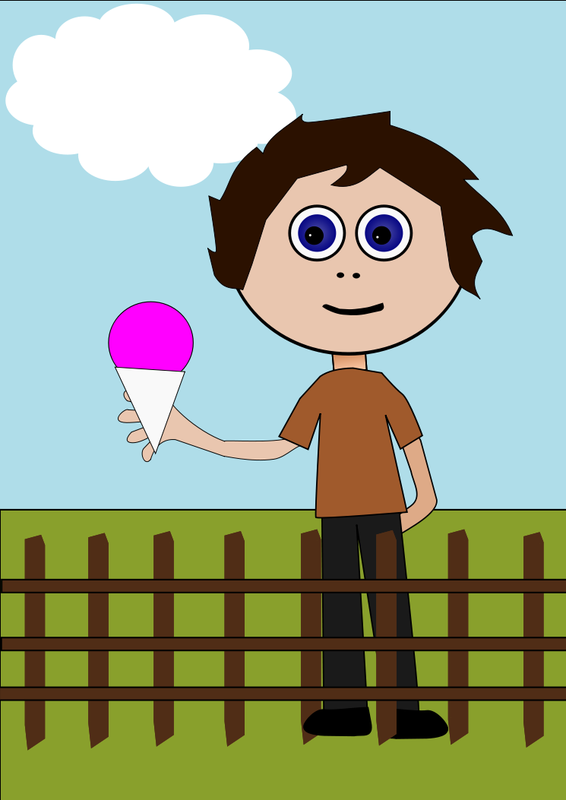 There are colorful graphics to help your children remember these sweet words in French. Also included are: a summary page, 3 worksheets, 4 copywork pages, 2 games and a completion certificate. 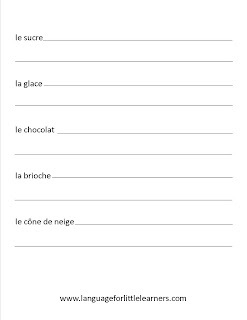 There is also a pronuciation guide for the French text to help your children. 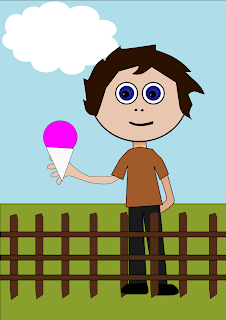 As with all products that are sold by Language for Little Learners, you can contact us for any help you need to make these products as successful as possible for you and your children. This product is partially based on my language learning blog. Click ‘add to cart’ to buy this booklet for only 2 dollars. It will be emailed to you shortly after you purchase it. 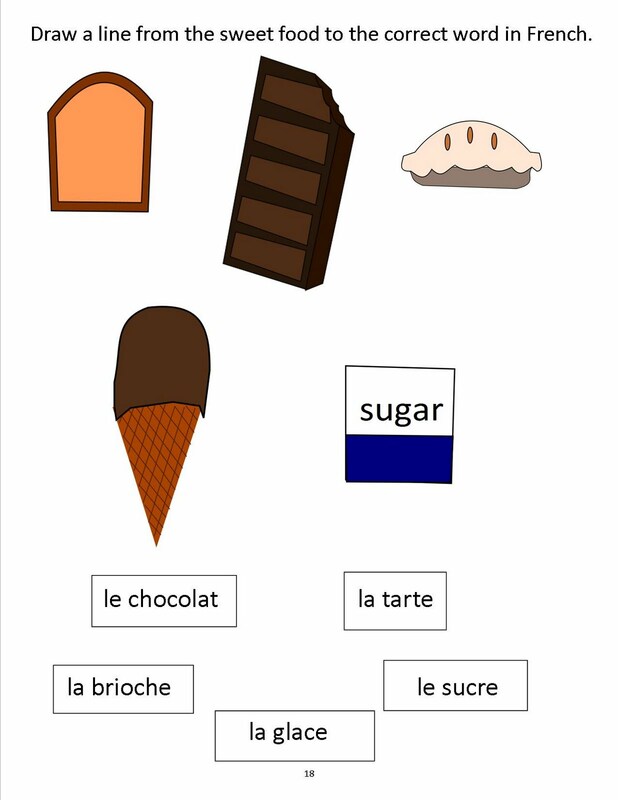 I hope your children enjoy this new sweet vocabulary in French worksheet! 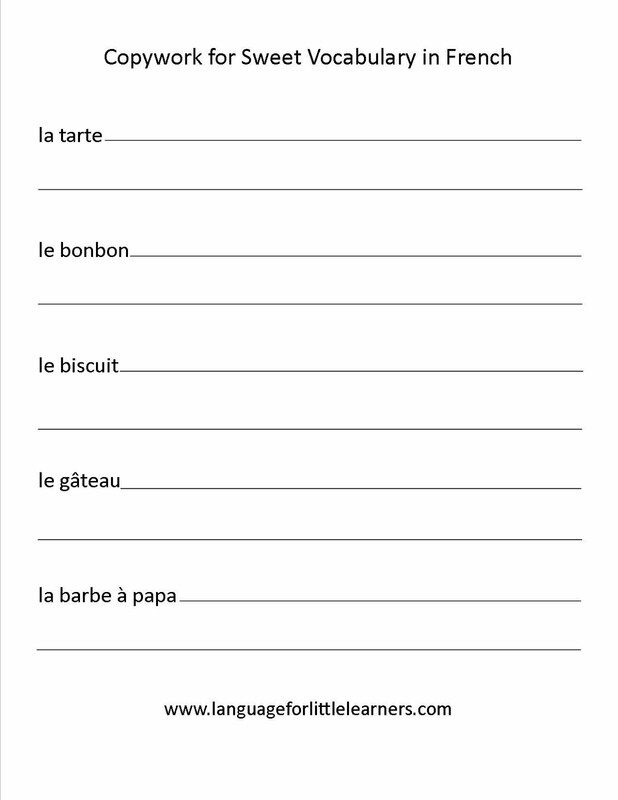 It’s a simple worksheet, yet educational, helping your children to remember the names of sweet words in French! Stay tuned for a fun sweet vocabulary in French game! 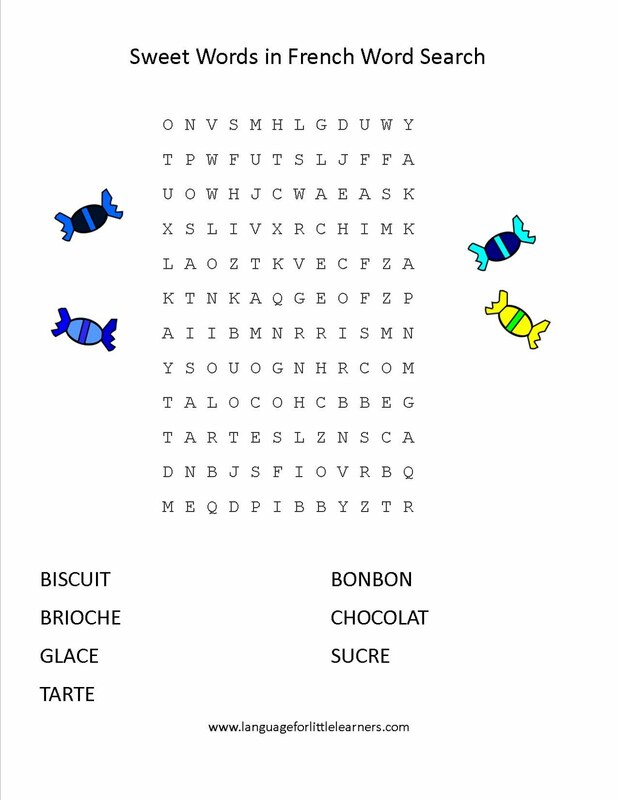 Today’s freebie is a word search for your children. 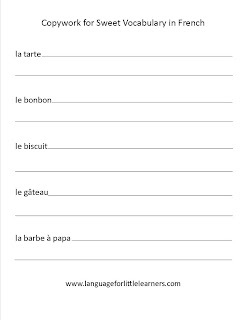 This will help them to remember some of the sweet words in French. 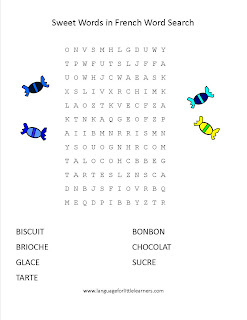 Just double click on the picture above and you can print the word search worksheet. I hope everyone is having a great weekend! 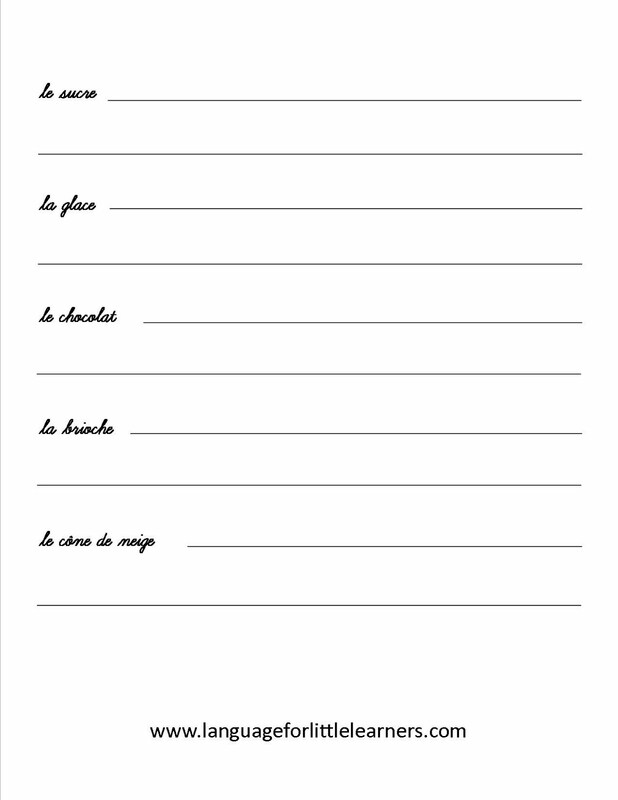 Here are 2 copywork pages that you can use with your children. Just simply double click on each picture which will bring up a screen that you can print it from. 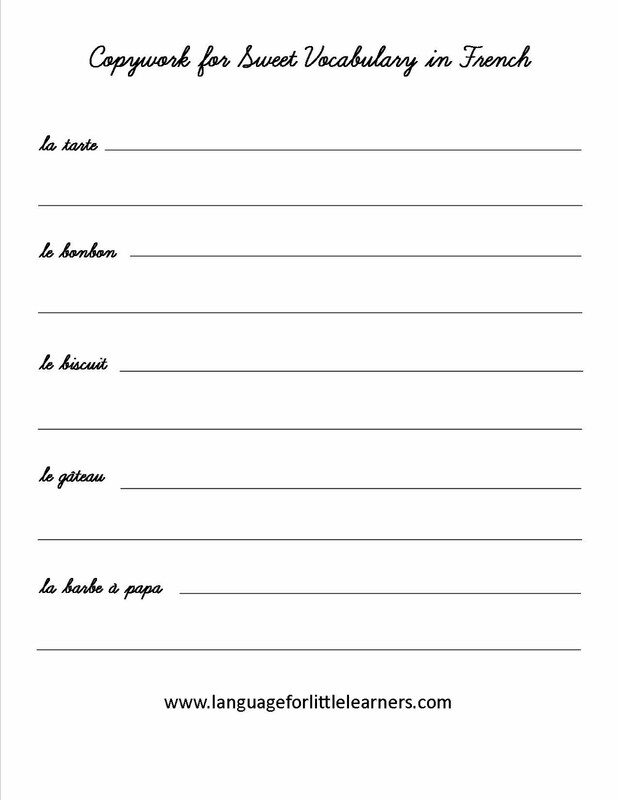 Then, you can have your children practice writing each sweet word in French while they are practicing their manuscript writing. Enjoy! 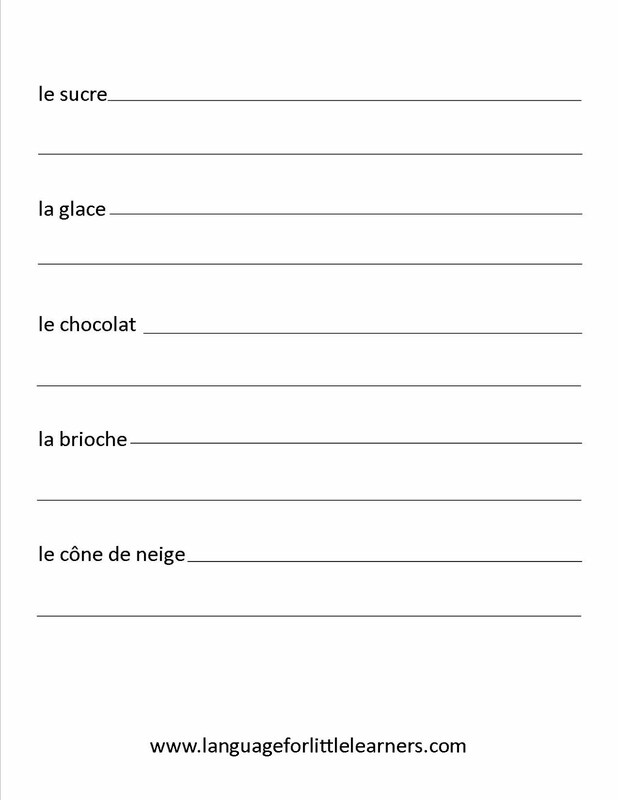 The last word in our sweet words in French unit is ﻿le cône de neige which means snow cone. Now, we can begin to reinforce these words with your children. You can go over the last few days of posts and see if they remember the names. 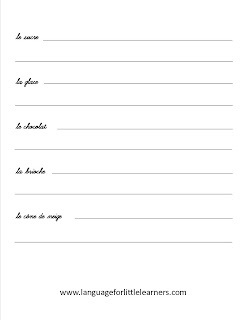 Stay tuned for tomorrow and I’ll make a fun worksheet. 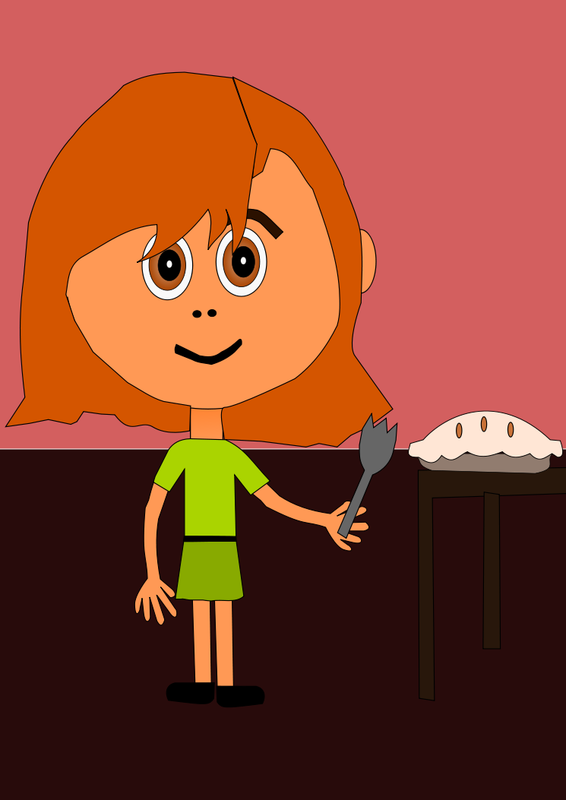 Going with my same theme of sweets, today’s word is la tarte which means pie. Remember also we use the word tart in English but it usually only refers to pies without a dough covering. 1 more word tomorrow and then some activities to reinforce these ‘sweet’ words. La brioche is a type of sweet bread. Many English speakers call brioche, simply brioche. So you can either tell your child that it is a type of sweet bread or you can say it is the same in English as in French. Two more sweet words, then fun exercises will follow for you and your children to enjoy!